Dell is the latest in a fairly long line of technology companies to consider developing a wearable computing device, according to The Guardian. 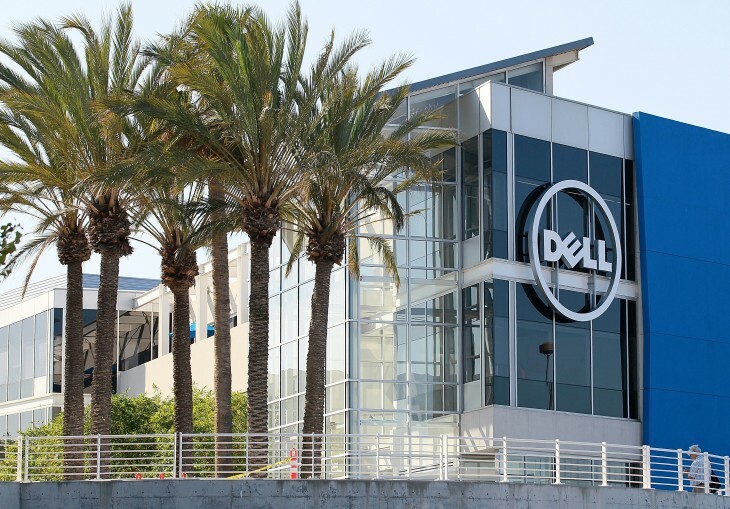 Sam Burd, Global Vice-President of Personal Computing for Dell, told the newspaper that the firm is exploring a number of ideas, but stopped short of detailing exactly what, if anything, was being developed or tested at the moment. Desktop PC sales continue to slide year-on-year, so it’s not surprising that Dell is looking at a new hardware platform or ecosystem to boost its ailing profits and stay relevant. Apple was reportedly working with a team of “about 100 product designers” in March this year to transition iOS to its own smartwatch design. The company has since filed trademarks for the name ‘iWatch’ in Japan, Mexico, Taiwan, Turkey and Columbia, strengthening rumors that Apple will launch the device before the end of the year. Microsoft is said to be developing a touchscreen watch device too, in addition to its own smartphone. Executives at the firm’s suppliers told The Wall Street Journal in April that Microsoft had requested various components for a watch, including a number of 1.5-inch displays. Given Microsoft’s in-house development of the Surface RT and Surface Pro, these rumors sound at least plausible. Add fresh reports that Google is cooking up an Android-based smartwatch, in addition to the Kickstarter-funded Pebble phenomenon and Sony’s recently unveiled SmartWatch 2, it’s easy to see how the market could quickly become overcrowded. The wider public is yet to latch on to either the Pebble or Sony SmartWatch, however, so Dell stands a chance of making an impact if it can hit store shelves before some of its equally high-profile competitors. “We haven’t announced anything, but we are looking at the technology in that space,” Burd added. Dell is in something of a quagmire at the moment though as founder Michael Dell and Silver Lake attempt to take the company private. The $24.4 billion deal announced in February was later met with counter offers by Blackstone and billionaire investor Carl Icahn. The former has since withdrawn its bid, citing poor PC sales and a “rapidly eroding financial profile”, but Icahn has pressed on with his own tender offer. Until the matter is resolved, Dell continues to operate with a less than ideal corporate image. An entirely new and innovative product would certainly help to begin reversing this gloomy state of affairs, however.